The Romans may have given us straight roads but completing a delivery to Italy is still not high up most people’s list of things to do. Finding couriers to Italy can take up a lot of time and effort. At Shiply we make delivery to Italy really easy. Not only that but you’ll save on Euro’s doing it, meaning you can put some of that money saved on that trip to Rome you were planning. In fact we’ll make you an offer you can’t refuse: rated couriers, cheap quotes and a green solution. Bravisssimo! How do I get all that? Simple. You just list what needs moving, when it needs moving and where it needs to moved to. Buying or selling something on eBay? Just add the item ID into Shiply and we’ll transfer all the important information. Once you have your listing, you’ll quickly start receiving competitive quotes from rated couriers who want transport to Italy work. From the various quotes you get, you can then choose the worldwide shipping company that best fits your needs. Look at Shiply as an online transport marketplace and you will quickly understand what we mean. Delivery to Italy on Shiply translates to cheap quotes. All day every day there will be couriers to Italy completing shipments for their customers. It is rare that any transport vehicle will be fully loaded. This is great news for you, because transport providers would love to pick up some extra items on their usual route and make some extra profit. As a result, they can offer a quote much lower than a standard rate. In fact you can save up to 75% on transport to Italy. It’s for the same reason that Shiply is a great green transport solution. Instead of organising an entirely new vehicle, a Shiply delivery will use a transporter going there anyway. That means less co2 emissions when a delivery to Italy take place. So whether it’s a football table to Florence or a rug to Rome, you’re in good hands with Shiply when you organise European transport. Transport to Italy has never been easier! If you’re going to be sending valuables across Europe then you want to know that you’re getting the best care for them. Hiring a courier to Italy should be an easy, pain free process – but it can be made unnecessarily difficult because of the wide choice of European delivery services out there. Do you go with an independent driver, a well know chain or do you plump for containerised shipping. It really depends on what you’re sending. Depending on what you’re sending to Italy you might need different levels or courier expertise. If you’re sending paintings to Parma or need to deliver fineries to Florence then you will want to employ the services of a courier well versed in transporting fragile goods. Or if you need to transport a car across Europe then you will need an expert vehicle transporter. If you’re only sending basic items to Italy, such as furniture or crates and boxes then a more affordable basic courier services could be all you require. Finding a courier that is already going to Italy and has spare space could mean you save on your delivery costs. Transporters to Italy should conform to the following standards before you consider them for completing your delivery job. Insurance: This is the most important thing to check out when looking for a European courier. Not only does it protect the contents of the delivery, it gives you some indication that you’re dealing with a creditable outfit. 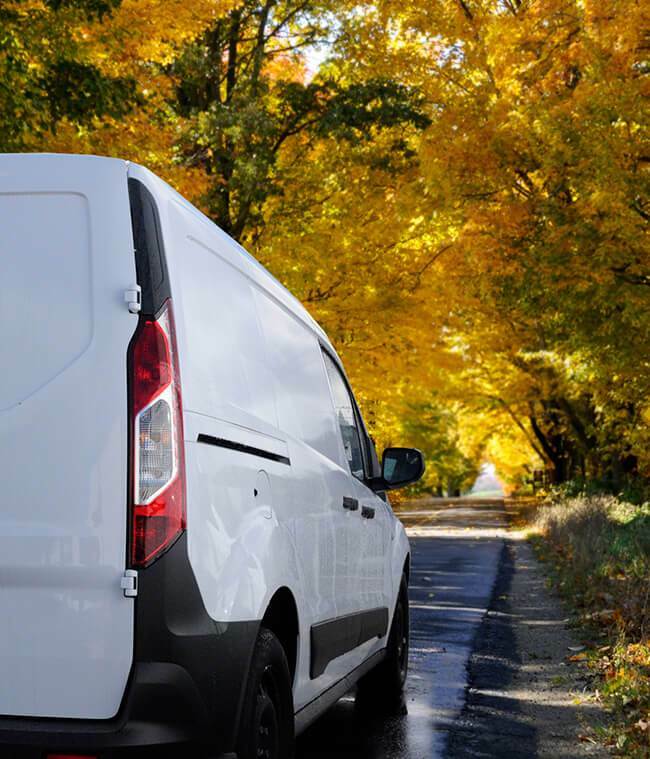 Accreditation: When looking to hire a delivery driver to Italy it can help to find one that is a registered member of a recognised delivery association. These organised bodies set strict standards for delivery and courier services across Europe. Feedback: One of the best ways to judge a delivery driver is by examining reviews of their service from customers they’ve served before. An Italian courier is going to cost a lot more than a simple move up the road, the average rate per mile for a courier is around £1.20 per mile, so from delivery London to Rome by road (and ferry) could cost you in excess of £1,000! But luckily Shiply can help you find cheaper courier quotes to Italy. Once listed, any of our registered transporters will be able to quote you prices for undertaking your Italian delivery. The drivers who will give you the best quote are those who are already making the trip to Italy anyway and have spare capacity. Carriers will compete against one another to try and offer you the best price for delivery to Italy. You can compare competing firms based on the prices they quote and the reviews they have received from other Shiply jobs they have completed. Then all that’s left is to organise the dates with the courier of your choice. When your goods arrive in Italy make sure you check that they are in the same condition as when they left, or “as described” if you’re receiving an eBay item. Any discrepancies should be taken up with the transporter or seller, depending on where the damages occurred. When you are satisfied your delivery has been carried out properly please do leave feedback for your courier to Italy found on Shiply. This will help them know how to improve their service and also help other users who are looking for a similar service in the future. Buona fortuna with finding a great quote!